Price Includes two full days of education, keynote presentations, breakout sessions, networking, and a conference party with music and celebration. 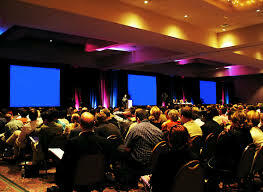 Conference fees include access to all education presentations, education materials, food and beverage and networking. I’ve been dreaming of a “restaurant catering conference” for many years. My vision is that we’d create a venue where our community can come together, and focus on 2 days of catering education, networking and team building. I’m thinking about 300 people, from all across the country. A Gathering of 300 of the industry’s top thinkers and performers; all in one place, all committed to advancing their personal development. Erle, Great idea. Desperately needed in the Hospitality industry. Catering is the area where most restaurants have the most opportunity for huge successes but few realize it. The Catering aspect of many restaurants is neglected and orders and clients are taken for granted because catering is considered just an extra tacked on feature of the business, like take-out or delivery service. Few know how to market their catering properly. Once a restaurant starts taking their catering program seriously it can be a real business game changer for the company. The difficulty is in getting the whole restaurant staff to buy in to the idea that promoting catering is a top priority. The promotional value that a large catered event has for boosting future restaurant business and revenue on all levels is unparalleled by any other marketing and advertising endeavor even by social media! Building one’s catering business is still the best brand ambassador and community networking avenue a restaurant or any hospitality organization can use for gaining quick, word of mouth notoriety. Still everyone’s idea of running, managing and marketing a restaurant’s catering portion of the business varies so much from organization to organization in the hospitality industry. Hopefully, your conference will help to shed some light on what really works, set some standards and elevate the image of catering…still the best kept restaurant profit making secret! I will inform my Philadelphia and New Jersey Clients of the value of your upcoming catering conference. Good Luck! P.S. Philadelphia has a great conference center if you ever decide to take the show on the road. Thanks for your supportive Note Stu! Great comments and thoughts.